we're home finally after an extended (internet-less) hospital stay for a belated special delivery - our son, Ottavio 曲畅 Montebello. 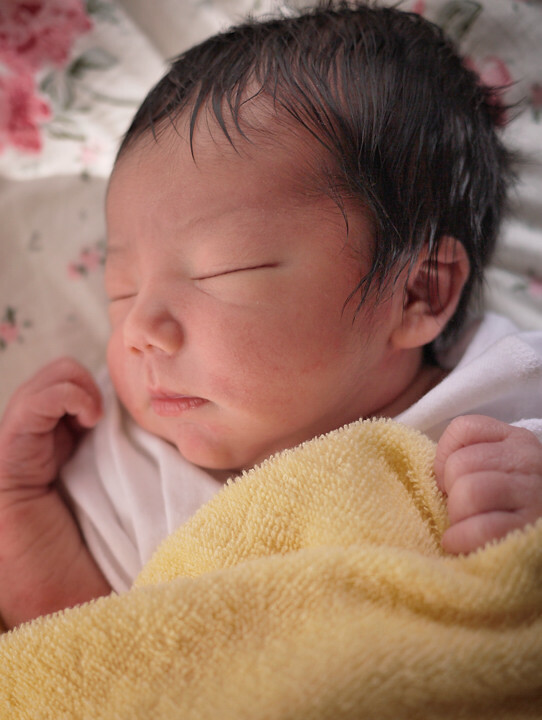 the little guy was born on December 27th, 2009 at 12:08 in the afternoon after 14+ hours of prime labour pain at the Long Tian Jin Qiu Hospital in Qingdao, China. mom and son are doing great. can't think of a better start to a new year really. more to come (but not too much!) when we get back to this blog's regularly scheduled programming. for those of you taking notes, the attached image was photographed 'the morning after'. with regards to his moniker, which was derived from my dad's original italian first name, i'll also be slipping in some middle names whence registering with the authorities (Giuseppe, Valentino, after his granddads). our preferred nickname til further notice is 'Bove', meaning ox in italian, pertaining to his traditional chinese animal sign but probably making little sense to italian folk otherwise. his chinese name 曲畅 (Qu Chang, or 'chew cheng', phonetically), is kitty's family name (Qu 曲) and his chinese given name (Chang 畅) which means, 'unhindered'.